Super soft plush meat on a removable bone! This version is the browned, (cooked) meat. About 13 inches long, this item was a Japanese Crane Prize, and once purchased may not be re-orderable. 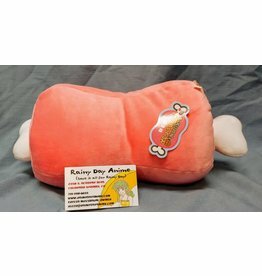 Super soft plush meat on a removable bone! This version is the pink (raw) meat. About 13 inches long, this item was a Japanese Crane Prize, and once purchased may not be re-orderable.